My downstairs neighbour is expecting her first baby any day now, and seeing her so full of anticipation is making me nostalgic for my own first birth. So this post is for all you natural-birthing mamas, past, present and future: a collection of pain management techniques for drug-free childbirth. 1. Focus on the breath. If I had to choose only one pain management technique, this would be it. Stay in control of the breath, keeping the exhalations as long and smooth and drawn out as possible. Don’t worry about the inhalations, they will take care of themselves. This technique helped me feel like I was riding through each contraction instead of being buffeted by it. My yoga teacher said, “your breath is the life raft that will carry you through the stormy seas of birth.” She knew what she was talking about. 2. Rock and circle the hips. Rotating the hips and pelvis around not only feels soothing, but also increases the intensity of the contractions by increasing the pressure of the baby’s head on the cervix and encourages good fetal positioning. 3. Stay upright. Use active birth positions, like leaning, dancing, pacing, bouncing on a birth ball, rocking on all fours. Walk back and forth to the bathroom. Up and down the hall. Rest your head on something soft between contractions. 4. Zone out. Let the rest of the world take care of itself. Allow the logical, analytical monkey mind to quiet down. For me, this means NOT timing my own contractions. 5. Surrender to the force of life flowing through you. Find that source of strength deep inside your spirit. 6. Visualize a flower opening. 7. Say YES. Yes, I’m going to meet my baby soon. Yes, I’m progressing through labour. Yes, each contraction brings me closer to the birth. 8. Moan. Vocalize other low, throaty sounds, especially during the exhalation. 9. Keep the mouth, jaw and face relaxed. Tension in the face can reflect tension in the pelvic floor, and vice versa. 10. Practice different pain management techniques ahead of time, so you can do them without having to really think about it. Birthing from Within is a great resource for pain management practice. There’s more you can do to prepare for natural childbirth during pregnancy, such as choosing a supportive care provider and educating yourself about the physiology of labour and birth. When it comes to having a drug-free childbirth, you don’t have to be a superhero to go without pain relief. If you try all these techniques and end up needing an epidural, that’s ok too. But with a healthy pregnancy, good preparation and an arsenal of powerful, natural pain management techniques under your belt, a drug-free childbirth is possible for many women. All of these ideas are like puzzle pieces that fit together to make a bigger picture: The Mother of all Natural Childbirth Tips. 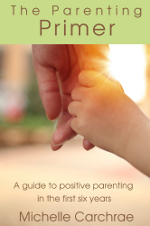 If you’re interested in learning more about trusting the wisdom of the body, building a strong attachment with your child and parenting from that perspective, check out my ebook, The Parenting Primer: A guide to positive parenting in the first six years. My most useful technique, in tandem with staying upright and rocking, was focusing on relaxing each tense part of me in turn – face, shoulders, hands, hips etc. Thanks! Water is definitely an excellent pain management tool. I wish I had gotten into the pool earlier during my first birth, but I went through transition there and it really helped ease that bone-crushing sense of gravity. :) Focusing on relaxing a particular body part at once is great too – I’ve done this as part of yoga nidra and found it very grounding and relaxing. And water…wonderful, wonderful warm water. I would never have made it med-free through my first labour (all back labour) without a nice warm tub of water to zone out in, and my husband providing counter-pressure on my lower back with each contraction. A timely read for me. Preparing for my second natural childbirth, this time at home. Thanks for the tips, I’ll try to keep them in mind. But I know, if it is at all like last time, things will just go the way they need to be. Somehow the wisdom of the body seems to just take over. I counted backward from 10 to 1 in my mind during most contractions and during the worst ones I would inwardly meditate on my favorite hymn really thinking about the words. It worked for me after transition labor. I didnt focus on counting contractions or looking at the clock. During Natural childbirth the clock is irrelevant in the mind of the mother. You can look at the clock and then what feels like just 20 minutes later can be 3 hours. Its amazing how your mind and body all work together to handle it. For me just giving up because I clearly wasn’t going to get an epidural and crying helped. The most useful technique, inside tandem having being upright in addition to rocking, has been concentrating on relaxing just about every stressed portion of myself in turn – face, neck, palms, hips etc.